4 Bedroom Detached House For Sale in Leighton Buzzard for £1,250,000. Located on this very popular road and positioned on a private plot is this beautiful FOUR DOUBLE bedrooms with THREE EN SUITES family home. The property boasts an INDOOR SWIMMING POOL and a SAUNA ROOM . 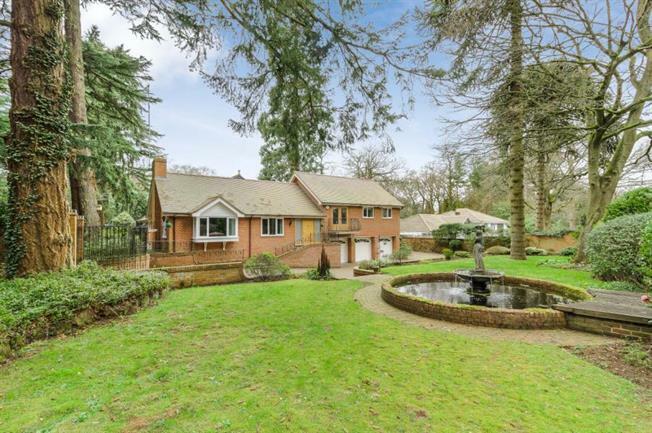 This impressive residence is accessed via a tree lined road through powered double gates leading to an extensive block paved driveway providing secure parking and triple garage, having views over the golf course and many mature Redwood trees this property is very pleasant indeed. Also offering a snooker room and bar with steps leading down to the poolroom that opens up onto the garden through two sets of double doors, The garden is secluded and has numerous areas for play relaxing and entertaining, read no further and arrange a viewing.